Join On His Wings Foundation as we introduce our newest water packaging machine. Fun for all ages. Bring the kids. Good flying, good food, good friends and great fun! Stop by on your way to Oshkosh. Join On His Wings Foundation as we introduce our new water packaging machine to be used to manufacture water on-site after a disaster. Meet Dan Spencer of Samaritans Purse. Dan and his family are missionaries in Liberia, Africa. Dan will share stories of his life as a helicopter mission pilot in Africa and help bring attention to mission pilot operations. Dennis Conn and Marvin Mathes will be at SUN n' FUN 2012 assisting Operation Renewed Hope. On His Wings Foundation flew relief flights on behalf of Operation Renewed Hope after the Haiti earthquake in 2010. Stop by and say hello. A team from On His Wings Foundation traveled to Haiti and spent with week with Bishop Stenio Capre of Harvest of Haiti Ministries. Free Airplane Rides and BBQ Fundraiser fundraiser to provide 219,672 Kids Against Hunger meals and 10,000 bottles of Living Water to Haiti. Waterama Parade prayer and planning meeting at the Alexandria, MN airport. 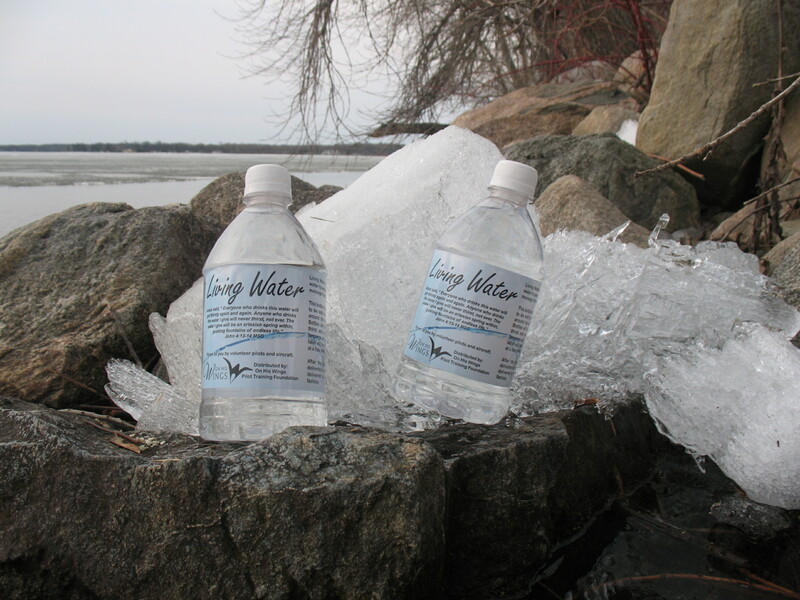 2000 bottles of Living Water are being delivered to Lighthouse Christian Church in Rosemount, Minnesota. 56th Annual Waterama Parade in Glenwood, MN. On His Wings has a float in the parade and is looking for 200 volunteers of all ages to help pass out 3,000 bottles of Living Water. Living Water is a ministry of On His Wings Foundation. Water is always in short supply after a disaster. On His Wings has accepted the challenge of providing fresh, clean, bottled water to disaster areas as quickly as possible. On His Wings Foundation recognizes that a special opportunity exists immediately after a disaster to meet physical, emotional, and spiritual needs. 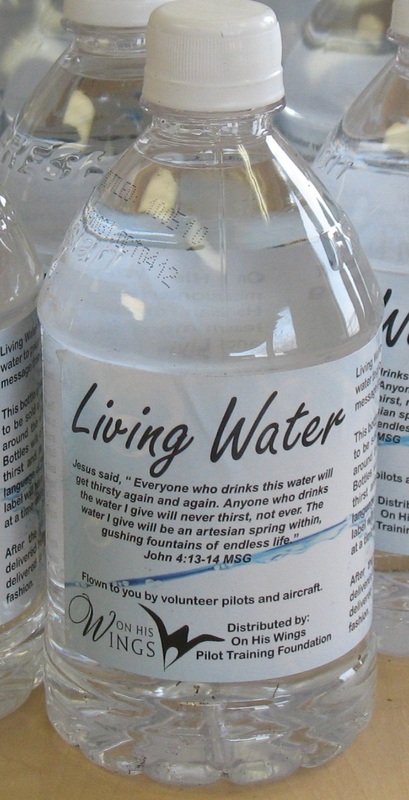 Each bottle of Living Water is custom labeled with an uplifting from Jesus in the language of the affected community. You can help. Become part of the Living Water ministry by sponsoring a case of Living Water. Each bottle you sponsor can reach someone for Christ. To learn more or to sponsor a case of Living Water with your tax deductible donation call 320.616.1649 or Donate now.